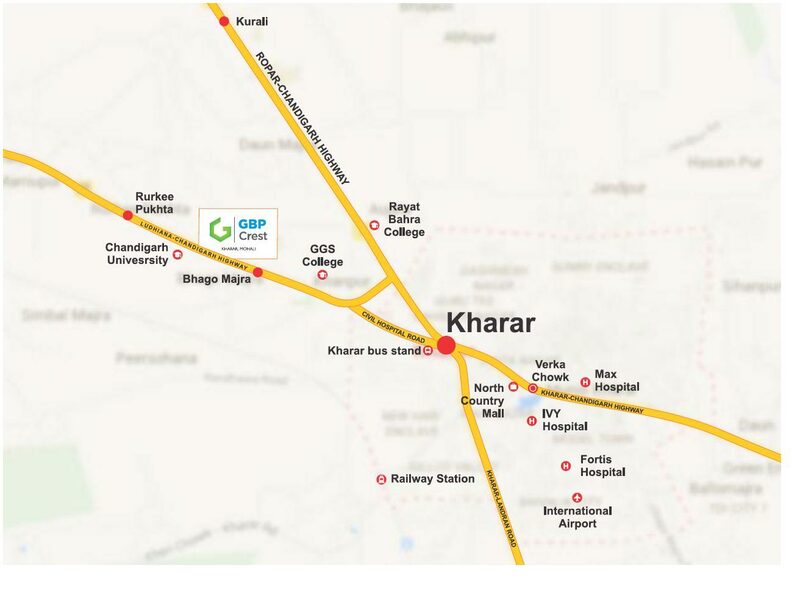 GBP Crest a mixed use world class township strategically located on NH 95 Chandigarh - Ludhiana Highway, Kharar. 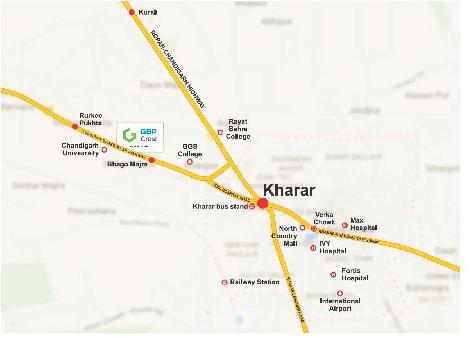 The project is in the vicinity of world class Universities, Hospitals, Malls, Schools & Commercial Centres such as Chandigarh University, Rayat Bahra University, Aadesh Group of Institutions, GS Sachdeva Group of Institutions, Max Hospital, Fortis Hospital, North Country Mall by Gumberg India (A fully owned subsidiary of Gumberg USA). 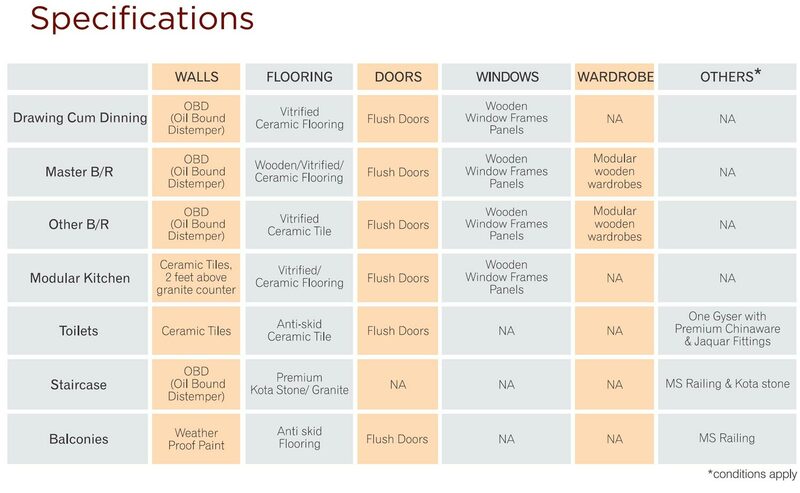 GBP Crest Independent Floors range from 1074 sq. ft. to 1269 sq. 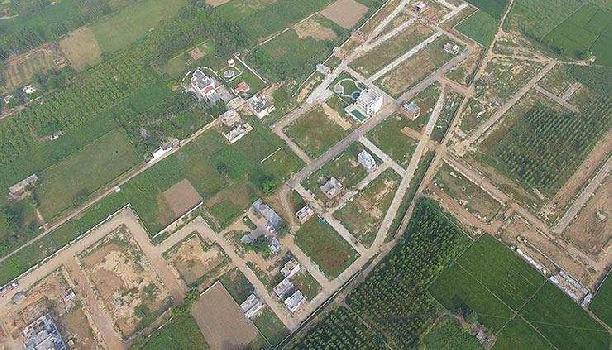 ft., and Residential Plots range from 100 sq. yrds. 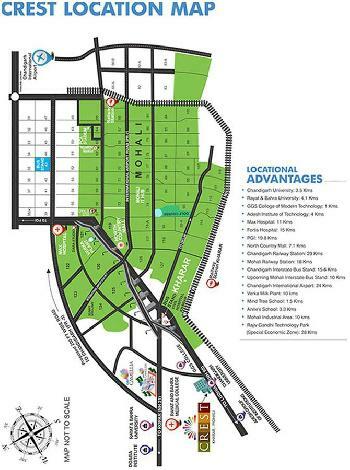 to 250 sq. yrds., built up booths of 10 ft. by 20 ft. and SCOs of 15 ft. by 50 ft.